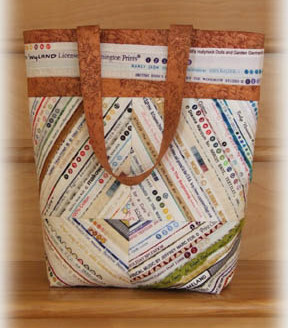 The pattern for this charming selvage tote is available from Karen Neary here. Nice work by Edda. It measures 14" x 14" x 5." I made this same bag, with a little different trim.